ჯრუჭის მონასტერის აღდგენითი სამუშაოები აქტიურად მიმდინარეობს. ამ დროისთვის ტაძრის კედლების მშენებლობა და მათზე ძველი ტაძრისგან შემორჩენილი ისტორიული მნიშვნელობის ქვების დატანა ხდება. სამშენებლო სამუშაოებთან ერთად ტერიტორიის გაწმენდით სამუშაოები მიმდინარეობს. პროცესი ადგილობრივი თვითმმართველობის კომპეტენტურმა პირებმა მოინახულეს. 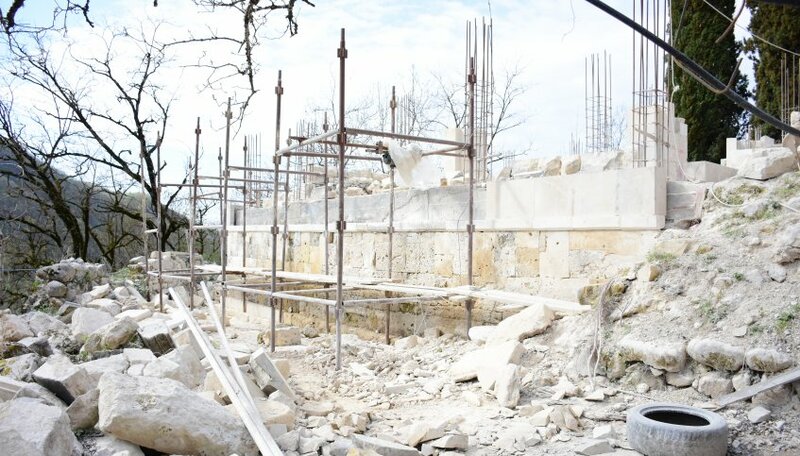 Rehabilitation works of Jruche monastery are underway. At this time the construction of the temple walls and the historical significance of the ancient temple is preserved. Together with the construction works, cleaning works are underway. The meeting was attended by the competent authorities of local self-government.